Hideo Kojima might be making Metal Gear Solid games right now, but he's made other games in the past. 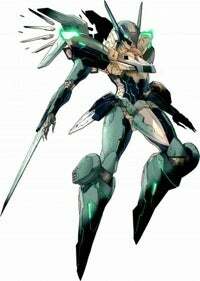 Games like Zone of the Enders. But when will we get that game? A lot of [people] love Zone of the Enders, and we love the title as well, especially at Kojima Productions and we always want to create one for the next gens as well. Of course, Kojuma Productions has a long list of things we want to bring out, and of course Zone of the Enders is one on the top of the list. However, we have to manage staffing and work around projects therefore it's not going to be out too soon, but we are really considering it. He also says that he wants to create an original title and he could produce Z.O.E.